(Please note the repairs email is only monitored during office hours) For emergency repairs we will arrive within 2 hours and make the emergency safe within 4 hours. IF YOUR REPAIR IS AN EMERGENCY, PLEASE CALL 08000 193 222. IF YOU SMELL GAS OR SUSPECT A GAS LEAK, PLEASE CALL 0800 111 999 IMMEDIATELY. KEEP THESE NUMBERS IN A READILY ACCESSIBLE PLACE. We organise our repairs service around your needs. We offer an appointment system based on your preferred time of day e.g. morning or afternoon, during school hours etc. For details of the types of repairs SBHA carries out and the timescales and service standards please see our leaflet: Repairing and Maintaining Your Home designed in partnership with SBTO. For emergency repairs, we will arrive within 2 hours and make the emergency safe within 4 hours. If you have an appointment booked but have to cancel please let us know in advance – then we can offer your appointment to another Tenant. If there is an emergency and you do have to go out, please call 08000 193 222 to let us know. The Housing (Scotland) Act 2001 introduced a Right to Repairs Scheme for Tenants of Registered Social Landlords to ensure that small, urgent repairs are carried out within a given timescale. This is work we plan to carry out on a regular basis. 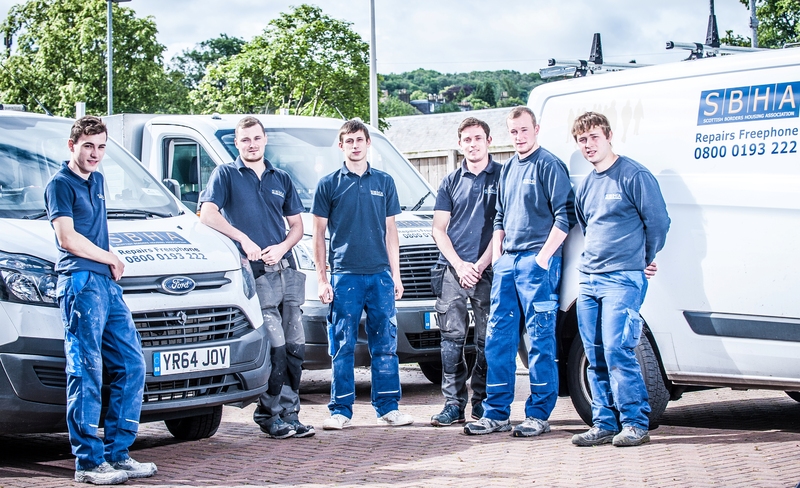 Currently we carry out cyclical work for servicing gas fires and boilers, external painting, electrical checks and grounds maintenance. Our aim is to extend this to other areas such as fencing, gutters and rhones, footpaths etc so that we can reduce one off repairs and improve the general environment. If you plan to carry out improvements to your home, you must contact us to seek our approval before you carry out this work.